Do you know, in some degree we all meditate in some or the other form? However, we do not realize because we do not know much about it. 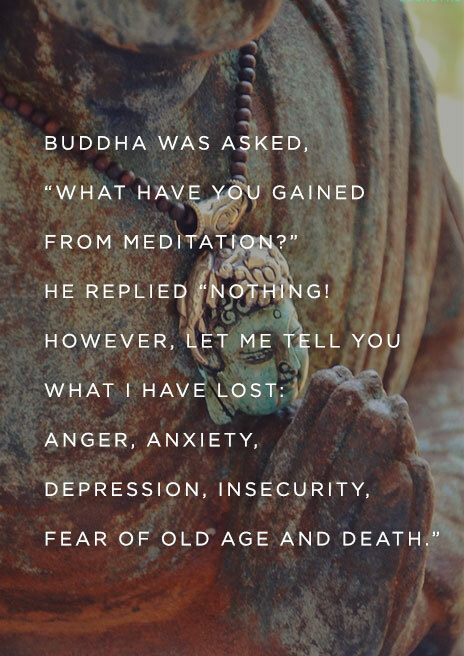 I can see that there are still a lot of doubts related to meditation. This motivated me to write a blog post on it and tell you the meaning, methods and powerful effects of meditation. Meditation is a mode of elevating yourself, uniting yourself with a higher entity. Meditation is a higher cognitive function that works both on the micro and macrocosmic aspects of life. In meditation there has to be an object/subject on which you can focus all your attention. Meditation of the Sun: Visualize the golden rising sun in the middle of your brows, known as the Ajna Chakra. Feel that the golden rays of the sun is cleansing your body, mind and spirit and filling you up with vital energies. Take deep breaths and follow the Pranic breathing technique. That is, with every exhalation imagine that all the negative vibes, bad thoughts, ill-health within you is coming out in the form of black smoke. And while inhalations imagine that you are breathing in vital life forces, good/positive energies, success, happiness and contentment. Since the sun is hot in nature meditating with the sun as the object of meditation fills you with motivation, life force and takes you to the higher planes of living. Meditation of the moon: Just like the sun meditation, you have to imagine the moon in the middle of the brows and imagine that the soothing rays of the moon are filling up your body, mind and spirit. The moon stands for creativity, intelligence, soothing and relaxing properties and cooling effect. The same pranic form of breathing is to be followed in this form of meditation also. Both the forms of meditation of the sun and the moon should be practiced daily. Without one, the other is incomplete. Both the meditation processes have a balancing effect on the body, mind and spirit. Therefore it is necessary to practice both of them in a given day. Meditating on a point: Meditating on a point drastically improves concentration, attention and memory. Doing this is quite easy too. All you have to do is draw a small circle in the middle of a plain paper, stick that paper at some distance. Then you need to take a deep breath and keep gazing at the circle continuously for some time without blinking your eyes. Simple, right? Meditation with music: This is one of the most effective forms of meditation. This works best particularly when there is a lot of noise around you or within you. In this form, you need to play music while meditating. If you want you can use your favorite music in the background. Otherwise, I would recommend different forms of music like soft instrumental, melodies of chirping birds, sounds of purling rivers, roaring waves, drizzling rain, and other natural sounds. You can find a wide variety of them from online sources or music stores.